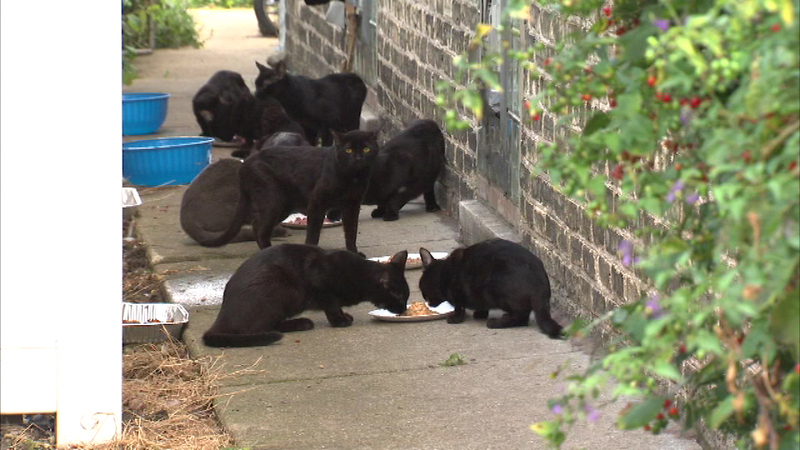 CHICAGO (WLS) -- Several cats remain inside a vacant Northwest Side home where more than 100 were removed earlier this week, animal rescue worker said. A spokesperson for Treehouse said the group is using tuna to lure the cats out of the home where 115 cats have already been captured. "We will be getting them into foster homes and then hopefully into adoptive homes for any of the friendly cats. For any of the cats that are truly un-socialized, we'll be looking for farm placements and other options for them," Liz Houtz said. Treehouse took in 65 of those cats, which they hope to have ready for adoption next week. Once all the cats are out, workers will begin cleaning out the home, which is in foreclosure and been deemed inhabitable.